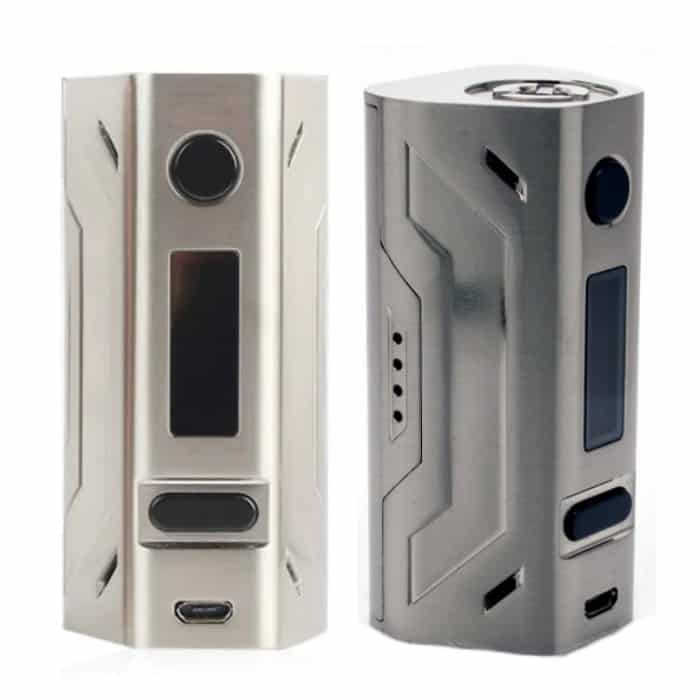 Smoant Battlestar 200W TC Box ModThe Smoant Battlestar 200W TC Box Mod is the power performance of output technology, integrating an intelligent chipset with 200W of maximum output, comprehensive temperature control suite, and a beautifully-crafted chassis.DetailsThe Smoant Battlestar 200W TC Box Mod is the power performance of output technology, integrating an intelligent chipset with 200W of maximum output, comprehensive temperature control suite, and a beautifully-crafted chassis. The Smoant Battler 200W was engineered to dramatically reduced in size with providing fantastic range and high performance, presenting an ergonomic structure with futuristic designs that fits comfortably in user’s hand. The chipset is notably intelligent, equipped with output wattage range of 1 to 200W, minimum atomizer of 0.05ohms, and intuitive temperature control with support for Ni200 Nickel, Titanium, and three types of Stainless Steel heating elements. It features a three memory TCR mode, a proprietary technology to adjust resistance of a wide range of heating elements to different ranges. It is powered by dual 18650 batteries (sold separately) accessed via magnetic battery door, providing a great balance of size and performance ratio. The Battlestar 200W can be fired with an oversized firing mechanism with a simple rocker switch for power adjustments, with a neatly organized OLED display for superior operational usage. Brilliantly built with the implementation of high performance functionality, theSmoant Battlestar 200W TC Box Mod is a must-have collection for those looking for a workhorse device.